Garam Masala vs Curry Powder: How Are They Different? 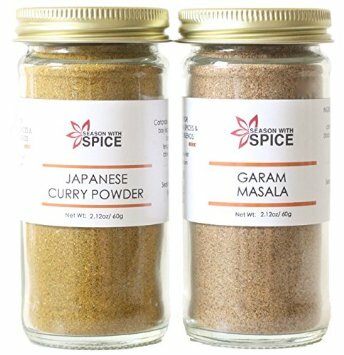 Garam masala and curry powder are both blends of spices, but are very different ingredients. Is Curry Powder a Good Substitute for Garam Masala? Both curry powder and garam masala have quite distinct tastes. That being said, they both go well with the same types of meal, so curry powder is a decent substitute in a pinch. However, the recipe as a whole will taste different than it’s meant to (not necessarily in a bad way). You can see from the table at the beginning that curry powders are made from a wider range of ingredients than garam masala powders. I only listed the most popular, but there are around 20 spices that often go into curries. The relative amount of ingredients in each spice blend is also different. Curry typically uses a lot of turmeric, which is responsible for the yellow color and a distinct taste. The next time you go shopping, take a look at the ingredients of 2 different curry powders. The ingredients are almost certainly different. There’s no one “right” recipe for either spice blend, because many variations of the spices taste great. One advantage of making your own powder instead of buying in bulk is that you can make a new flavor each time if you’d like.